Save on gas money, save the planet by driving a practical electric car! At Sutherlin Nissan of Fort Pierce, we carry all of the new Nissan models, including the eco-friendly, electric 2016 Nissan Leaf! Our mission at Sutherlin Nissan of Fort Pierce is to help you find the ideal vehicle for your budget and tastes, so you are excited about hitting the road. Search our inventory online anytime, or come to see us in person. We are just down the road from Port St. Lucie, Jenson Beach, Stuart, and Lakewood Park at 4815 S US HIGHWAY 1. Call us to arrange a test drive in your next car today! The electric Leaf is in a class of its own, the best electric car you can buy. At Sutherlin Nissan of Fort Pierce in Fort Pierce, FL we look forward to showing you our extensive selection of Nissan vehicles, including the Leaf, and helping you find just the right one for you. You can always check our inventory online of course. Or, you can stop on by our dealership at 4815 S US HIGHWAY 1 in Fort Pierce, FL. We are just down the road from Port St. Lucie, Jenson Beach, Stuart, and Lakewood Park. 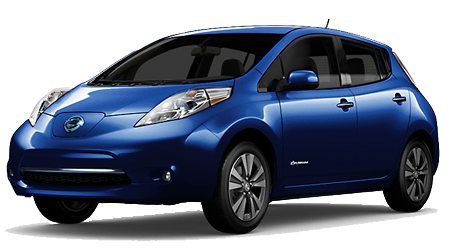 Let us show you the Nissan Leaf today!